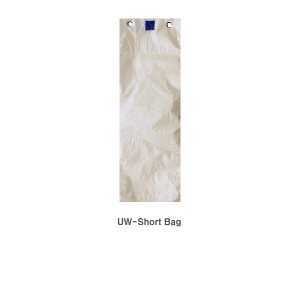 Now available: Short replacement wet umbrella bags (sleeves) for Double Dispenser models. Made with HD Polyethylene, these half-size bags offer the same convenient wrapping and durability of our full-size models but are sized 5.5” x 15.7” to accommodate short (folding) umbrellas. Designed to re-stock the half-size insertion chamber on our Double Dispenser models, these half-size wet umbrella bag replacements feature the same semi-clear color and HD Polyethylene construction as our full-sized bags.